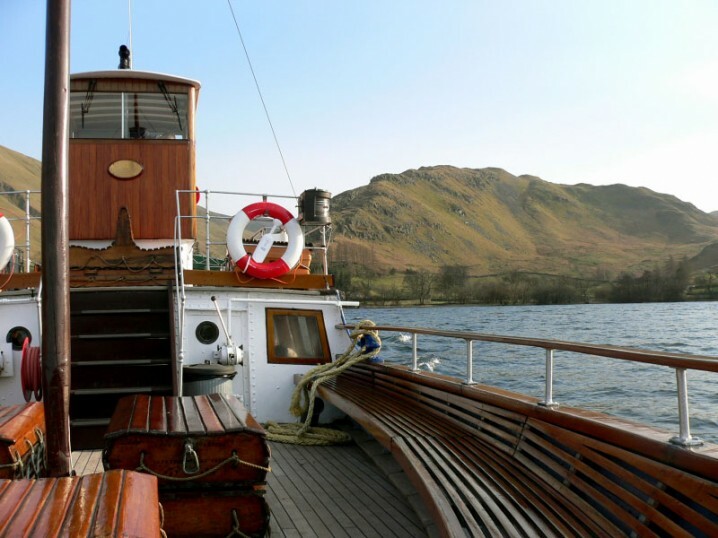 Ullswater Steamers offers one of the most delightful ways to experience Ullswater and the surrounding fells. Five historic boats travel between Glenridding, Howtown, and Pooley Bridge. The oldest, the Lady of the Lake, was built in 1877 and is believed to be the oldest working passenger vessel in the world. Services run all year round with 9 departures from Glenridding every day between April and the first week of September. Throughout the rest of the year services are reduced but still operate daily. The only days when there are no sailings are Christmas Eve and Christmas Day. Timetables are available from the official Ullswater Steamers website. Special cruises also operate throughout the year. On the RSPB Red Deer Rut participants board one of the boats at Glenridding and sail to Howtown. From here, they take a minibus to Martindale to see the oldest herd of wild red deer in England. 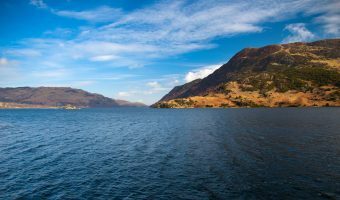 Many choose to catch the boat from Glenridding to Howtown and then walk back on the path that follows the lake’s shoreline. The gentle 7-mile walk was Alfred Wainwright’s favourite lakeside walk. Various types of ticket are available. The most flexible is the Round the Lake Pass, allowing passengers to hop on and off the boats at any point on the journey. They currently cost £12.70 for adults and £6.35 for children. Single and return tickets between Glenridding and Pooley Bridge and Glenridding/Pooley Bridge and Howtown are also available. Visit the official website for a full schedule of fares. Light refreshments and toilet facilities are available at the pier houses at Pooley Bridge and Glenridding. There are also licensed bars and toilets on all boats. To reach the Glenridding pier from Windermere simply follow the A592. The entrance for the pier and park is found immediately before entering the village and is clearly signposted. To get to the pier at Pooley Bridge continue along the A592, passing Ullswater on the right. Just before the end of the lake, take the B5320 to Pooley Bridge. The pier is on the right, about 1/3 mile from the centre of the village. However there is no parking here. Continue along the road to the Dunmallard car park, just before the bridge into Pooley Bridge. It’s around 350 yards from the pier. Map showing location of Ullswater Steamers. Ullswater Steamers are set to open a new pier at Aira Force in spring 2015. If you’re lucky you may see a Peregrine Falcon here. Ullswater is definately the most beautiful of all the Lakes. I really recommend this trip. 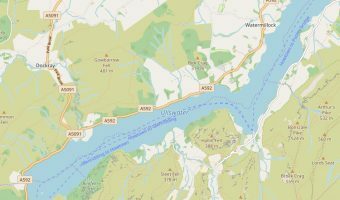 Map of Ullswater. Includes accommodation and places to visit. 5-day weather forecast for Ullswater. View temperature, wind speed and chance of rain.